Interiors Addict has returned with plenty of genius advice for retail buyers heading to Sydney Gift Fair. 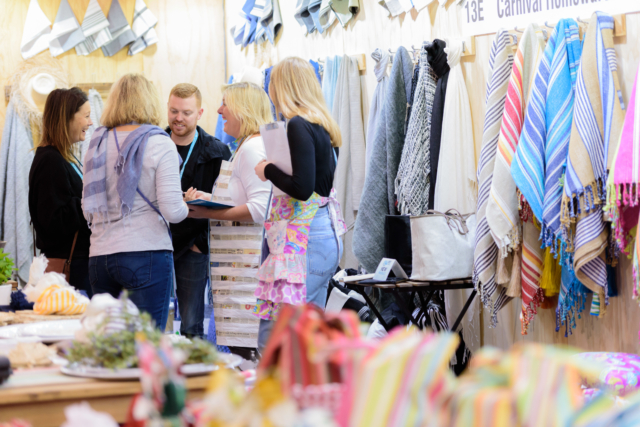 Trade fair season is well and truly here, for those of us in the gift and homewares industry. 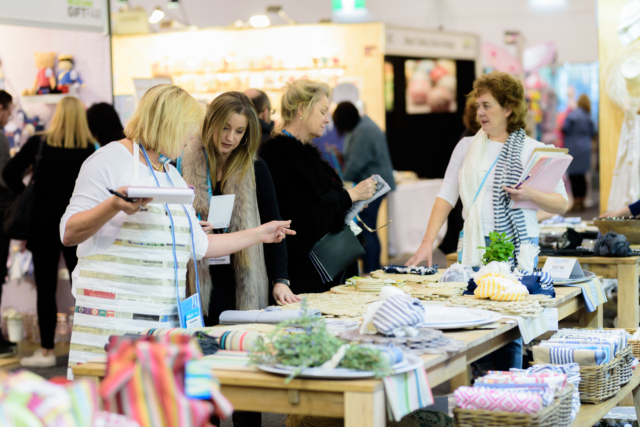 Events like Sydney Gift Fair, at Sydney Olympic Park from from 24 to 27 February, are the ideal place for buyers and designers to find new stock and suppliers, meet the people behind the brands they love and see what’s new for the year ahead. But they are big events and, if you want to avoid getting to the end of the day with blistered feet, faint from hunger and with a messy bag of disorganised leaflets and business cards, unable to remember what you saw and at whose stand, pay attention to the following tips from those who have been there and done it! Retailer Jayde Leeder from Little Paper Lane, says: “It’s a good idea to have a bit of a plan. All the fairs send out a catalogue of all the suppliers and they’re on their websites, so it’s essential to go in having an idea of who and what you want to see. Pre-registration can help with the lines at the door. Get a good night’s rest the night before the shows. Eat a good breakfast before you arrive. Coffee lines can be huge in the mornings at the venue, so if you spot a cafe near the entrance or outside it can be wise to buy your coffee hit there. Pack a few pens, ideally one that has a clip to attach to your lanyard around your neck for easy access. Bring a notebook & stapler, and write notes on the brochure or cards you receive too. Bring a mobile phone portable battery charger, a bottle of water, a snack or two and plenty of business cards. Wear a comfortable handbag or shoulder bag. You will receive a carry bag but make sure your own handbag has a long strap too. Take a photo of the stand’s business card with your phone to remind you, as it makes things super easy to find later. Take a few breaks during the day so you don’t become exhausted. When back at your accommodation each day, whilst things are fresh in your mind, try and file away the key brands you are interested in, so you don’t get confused later. Network! Trade shows are a great opportunity to meet fellow industry buyers and exhibitors. Located centrally in Sydney’s retail heartland at Sydney Olympic Park, it is easy to get to AGHA Sydney Gift Fair. AGHA are providing free shuttles and free P5 parking. Simply start each day at AGHA Sydney Gift Fair and take your P5 parking ticket and entry badge to the Transport Hub in Hall 3 between 11am and 3pm to validate your parking.